Google is a very popular search engine. If you want traffic from Google then you need to add url to Google. Vast majority of the people used Google search engine for their necessity. Are you known that, how Google get this information that is presented in front of you? How interesting this is! This happened when someone adds URL to Google or Google Bot found by automated. Google is also free for all to add URL to Google. As you see the search results when you searched on the search box. Are you known that, this result is depending on a webmaster and for search engines indexing or crawling? Are you new with search engine indexing or crawling? When someone launches new website, this website need to show on Google search results. When Google bot knew this website by another website or by webmaster invitation, they collect all the information and crawled all the information. This is called indexing. Google already indexed billion of the websites all over the internet. And finding new websites and contents every day. It has two types of indexing systems. One is manually invited Google to index website and another is indexed by auto indexing that is operated by Google named Google Bot. Google has a famous search spider for crawling. This is called a Google bot. Google Bot always busy to find new content all over the internet. When find something new, it is crawled by hesitating. Google always loved new content because not only content new and rich content is king. Google always neglects scrappy content. They don’t like the scrappy content because it is already indexed and available for all. Scrappy content has no real value. It is one type of dust. By following this phenomenon, it’s not always operated and crawled. It is also a search engine optimization seo process. Now, I am showing how to add URL to Google. By the discussion above, we able to do this by Google webmaster tool and another by an auto Google bot. We don’t have any control on second one, but able to do this by the Google webmaster tool. 1) First, go to this link www.google.com/addurl.html to add URL to Google. 2) Then type your URL and fill the captcha. You are done. You have 500 requests per day limit may be. I am not sure. 3) Then go to Google Webmaster tool. Verify your website and add a sitemap by clicking add/test sitemap. 4) Use Google sitemap generator plugin for your WordPress website. If you use yeast by SEO plugin, then don’t need to extra use this. Now try to build do follow links for your website. 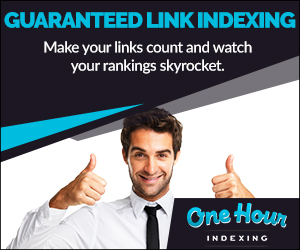 It will increase your chances to index by Google properly. If your content is good then you can get lots of traffic within short time. If you follow the above process then you can easily add url to Google.